PK Ewing was born and raised on Long Island, NY and completed his undergraduate studies at the United States Naval Academy in Annapolis, MD. He had a keen interest in military history and flying while in high school which led him to the Academy. One of his main reasons for choosing it over other military schools was that it was near the water. Due to his childhood on Long Island he has a deep love for water and couldn’t bear to be too far from it. Commissioned as a Marine officer, he has served as an artillery officer, staff officer and civil affairs operator, and has been stationed in Virginia, Oklahoma, California, Japan and Eastern Europe. Over his 20+ years in the service he has enjoyed all of his postings and the ability to live in such diverse areas. His experiences in these places has helped to inspire him to take our jet ski world records around the world. Pursuing his interest in technology, PK Ewing transitioned to the reserve component in 2000 and entered the business world. He has worked for Fortune 1000 companies, start-ups and small privately owned corporations. His ability to adapt and perform has allowed him to succeed in a variety of occupations, including as a marketing evangelist. His acting career has been varied due to his military service. It began in Los Angeles, picked up in Bulgaria and has continued in small roles on the east coast. Erika’s favorite PK moment on screen is when he gets eaten by a shark (it’s awesome and cheesy). PK’s preference is the amazing opportunity he had to perform opposite famed character actor Michael Ironside. After the events of 9/11, PK returned to active service, was promoted again and soon saw heavy combat in Iraq. 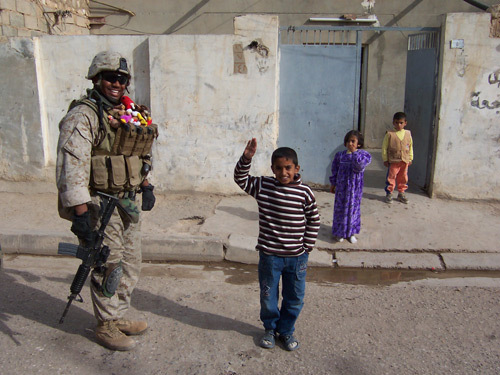 His team experienced many incredible and terrible situations while deployed, but were fortunate to all return safely. He later interned with the United States Senate and was medically retired as a Major in 2013 after 21 years in the service of our country. He has since picked back up on his public speaking career. He centers around the topics of Leadership, Team Work, and the untapped resource of our military veterans. He inspires those in the work force to embrace the culture and spirit of their company and he educates those in leadership roles on how best to choose the right workers and then to keep them focused on their mutual goals. Due to complications from injuries sustained in Iraq, PK was eventually placed in the Wounded Warrior Regiment. He has had numerous surgeries, and more still to come, and continues to suffer from the effects of his injures though his drive and perseverance to help others in his situation keep his spirits high. He is a champion of all veterans in all branches who are striving for better experiences in their civilian lives. His inspiration for founding Take Point Now was to remind veterans that they have all led extraordinary lives and they must continue doing so after the service. Military personnel are trained to work in teams and follow clear goals. Our team exemplifies this type of thinking and we are chasing world records to be a model that other veterans can follow.